There is one post tagged chives. lately, there has been quite a hype around timelapse-movies (one fabulous example by the amazing keith loutit: Metal Heart ), so i wanted to jump the bandwagon: as there is no addon firmware for my camera as there is for certain canon models i’m confined either using an intervalometer or an external software to trigger the time-lapse process. 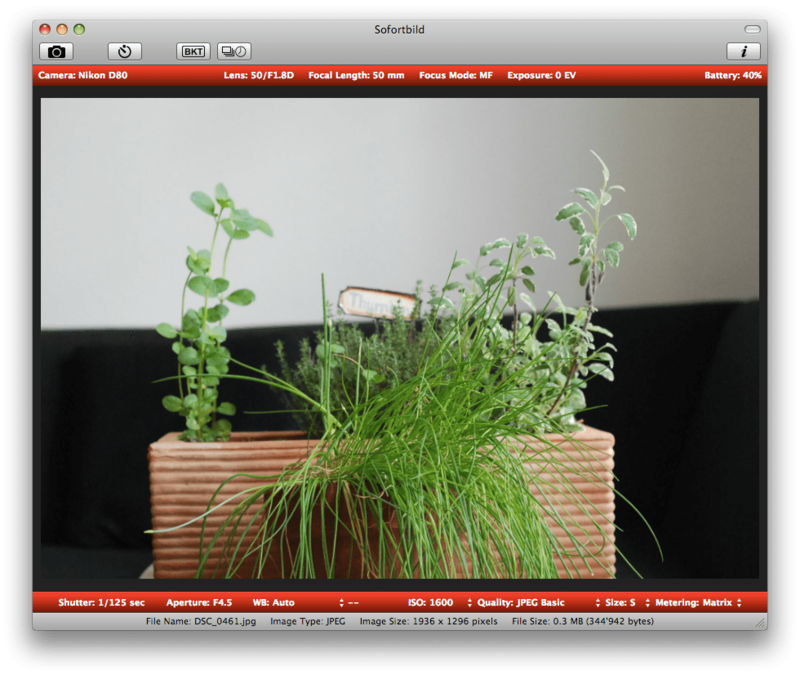 luckily for me there exists an donation-ware called sofortbild.app which allows for tethered shooting with os x.